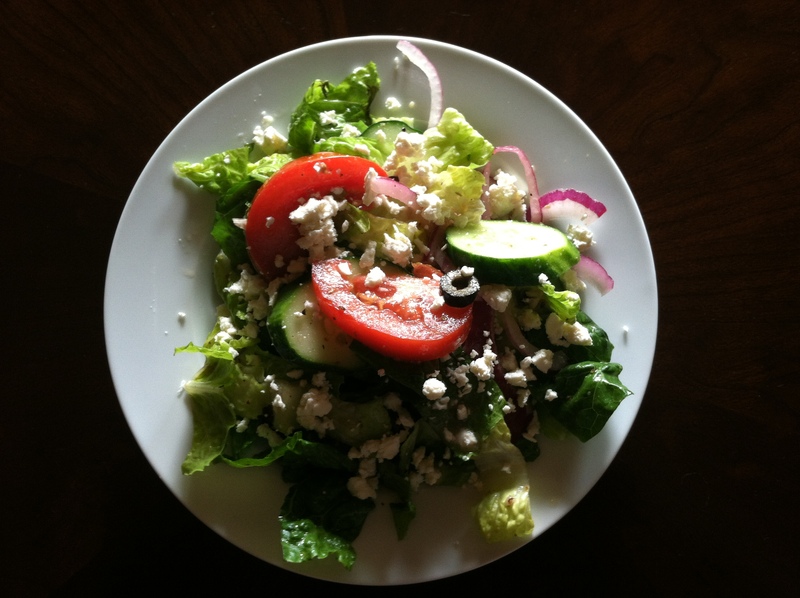 Greek salad is light, healthy, and fast to make (words not usually associated with amazing taste), yet is packed with flavor from sprinkles of feta, black olives, and fresh basil. 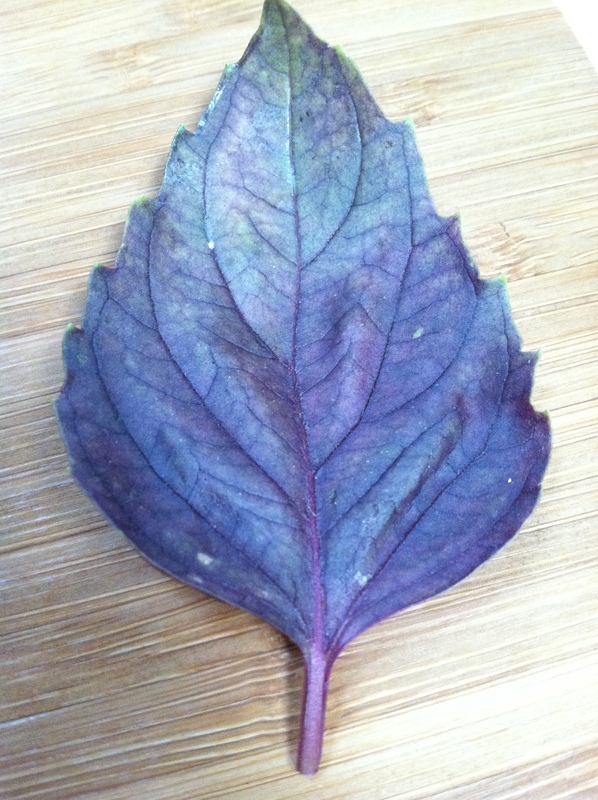 I picked up a purple basil plant from my local Home Depot a few weeks ago and it yields a traditional basil flavor with bright peppery notes, perfect for use in summer salads. 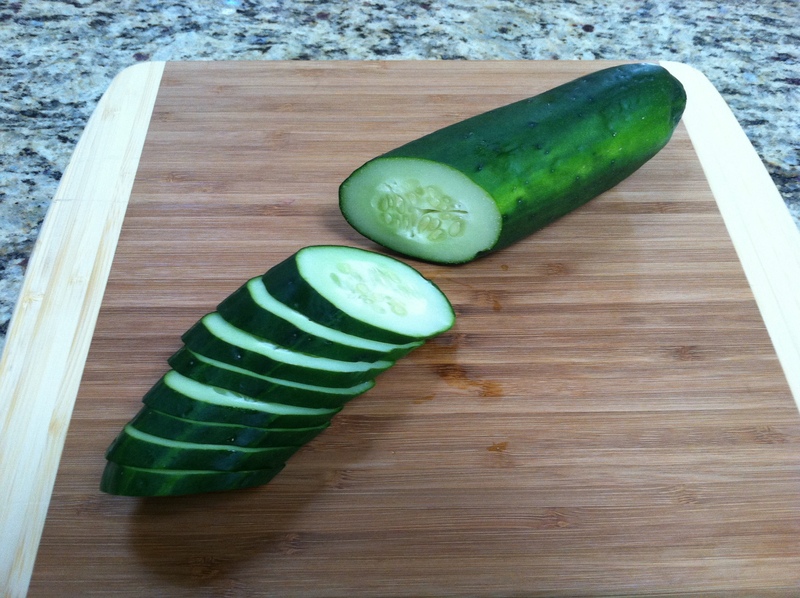 The cucumber is sliced on the diagonal for nicer presentation. 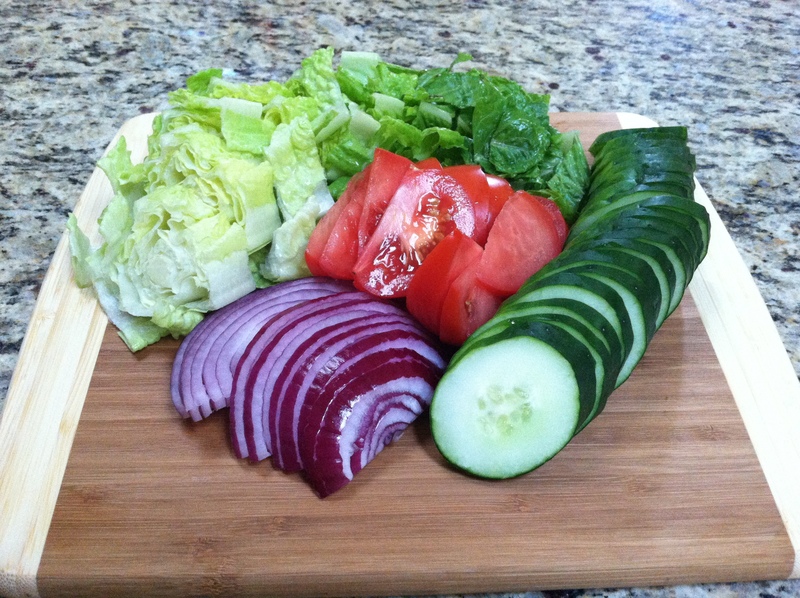 Alternating green and white stripes could be peeled down the sides using a vegetable peeler before slicing for an even fancier finish. I cheated and used bottled Greek dressing from Trader Joe’s which tasted great and has simple ingredients. I made this in under ten minutes (including slicing the vegetables!) and definitely plan to include it as the salad on my next menu.